Lexington, Ky. – Accessing the USEF (US Equestrian) Rulebook on the road or at events is easier than ever, thanks to the new USEF Rulebook App, featuring a search function. The app allows users to view the entire 1,200-page Rulebook chapter by chapter and to filter results by keywords and chapters or divisions, quickly sorting by the most relevant information or page. Users also can access recent Presidential Modifications (Pres-Mods) and Drugs & Medications documents. 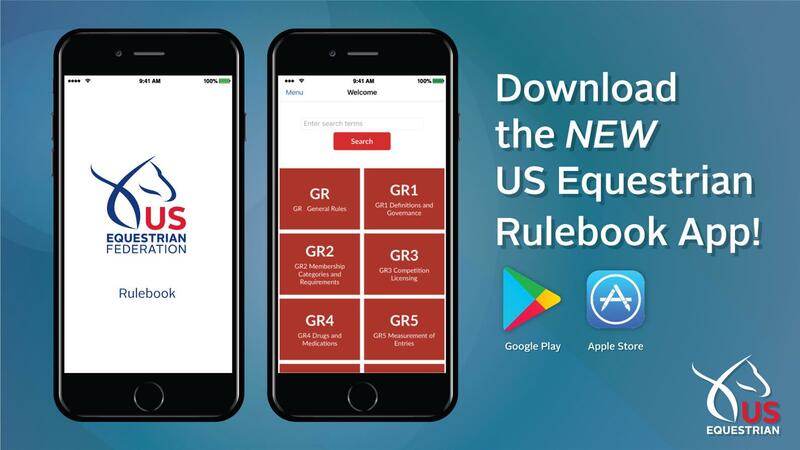 The USEF Rulebook App—available now in Apple’s® App Store for iOS® devices and in Google Play® for Android devices—is ideal for US Equestrian members, show officials, judges, volunteers, and staff, who can now reference current rules on the spot during competition. Internet access required. This entry was posted in Education, FEI & USEF Dressage News on September 19, 2017 by ludlumfarms.